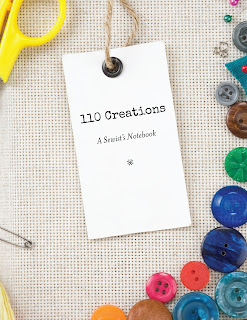 110 Creations: 110 Creations: The Book! I'm SO excited to be sharing this book with you today! Why? Because it's been my secret project for months (seriously, not even my husband knew for awhile), and now I can finally do the big reveal! If you're a web reader then you might have noticed the above photo in my sidebar last week. 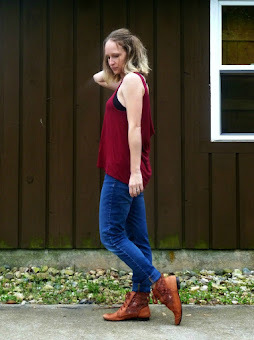 If you read on Bloglovin or mobile, then this is probably the first you're seeing of it. What's it about? I'm glad you asked! If you've been reading long, then you may know that I worked in book publishing before becoming a stay-at-home mom. I decided to take the skills I learned in publishing and use them to solve my organizational problems with my sewing. Now I can put everything in one place! There are 110 numbered pages for projects. 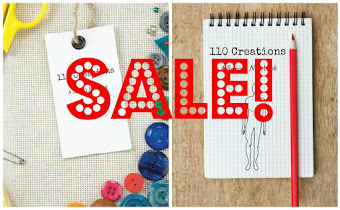 Most include a figure drawing for making sketches whenever inspiration strikes (there are 20 pages without a model so you can sketch handbags or children's clothing). There are blank lines to note the pattern I intend to use, the fabric and interfacing needed. Notions and accents are already printed so I can quickly circle what I want to do. 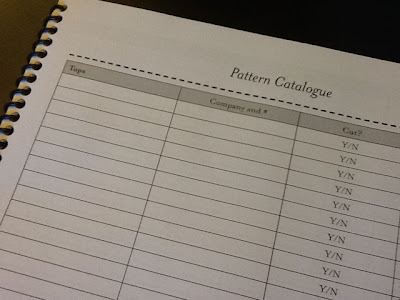 There are blank lines to fill in the sizing notes, hems and finishes, and what to do next time I make the pattern. If you'd like to have your own copy, it's available here (you can also preview more pages). It was important to me that the book be functional, and to that end it's setup with spiral binding (yay! ), in a spacious 8.5x11 size. 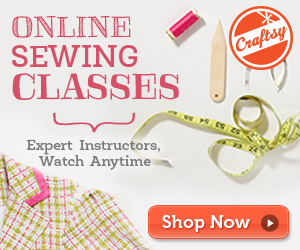 It would make a great gift for a sewing buddy, or yourself! Questions? Ask them in the comments and I'll be happy to answer! It looks fabulous! Congratulations on publishing your sewist's notebook. Thank you! I hope everyone else enjoys it as much as I do! Thanks so much! Technology has its place, for sure, but it's not always accessible to everyone. Almost everyone can use a pencil and paper and get results! Thanks Susan! 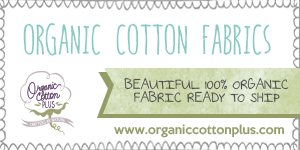 Wouldn't it be fun to pass along notebooks to family members showing off your projects?